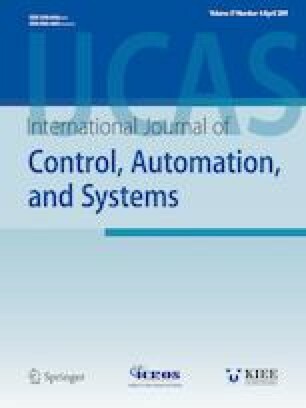 Controlling a class of chaotic hybrid systems in the presence of noise is investigated in this paper. To reach this goal, an explicit model predictive control (eMPC) in combination with nonlinear estimators is employed. Using the eMPC method, all the computations of the common MPC approach are moved off-line. Therefore, the off-line control law makes it easier to be implemented in comparison with the on-line approach, especially for complex systems like the chaotic ones. In order to verify the proposed control structure practically, an op-amp based Chua’s chaotic circuit is designed. The white Gaussian noise is considered in this circuit. Therefore, the nonlinear estimators –extended and unscented Kalman filter (EKF and UKF)– are utilized to estimate signals from the noise-embedded chaotic system. Performance of these estimators for this experimental setup is compared in both open-loop and closed-loop systems. The experimental results demonstrate the effectiveness of the eMPC approach as well as the nonlinear estimators for chaos control in the presence of noise. Recommended by Associate Editor Joseph Kwon under the direction of Editor Jay H. Lee. Seyyed Mostafa Tabatabaei received the B.Sc. degree in electrical engineering from Urmia University, Urmia, Iran, in 2007, and his M.Sc. degree in control engineering from Iran University of Science and Technology, Tehran, Iran, in 2011. His research interests include nonlinear systems, switched systems, predictive control, adaptive control, chaos phenomena, and industrial automation control systems. Sara Kamali received her B.Sc. degree in electrical engineering from Iran University of Science and Technology, Tehran, Iran, in 2014 and her M.Sc. degree in control engineering from Iran University of Science and Technology, Tehran, Iran, in 2017. Her research interests include nonlinear control, adaptive control, predictive control, chaos control, and switched systems. Mohammad Reza Jahed-Motlagh was born in Tehran, Iran, in 1955. He received the B.Sc. degree in electrical engineering from the Sharif University of Technology, Tehran, Iran, in 1978, and the M.Sc. and Ph.D. degrees both in control theory and control engineering from the University of Bradford, Bradford, U.K., in 1986 and 1990, respectively. He is currently a Professor with the Department of Computer Engineering, Iran University of Science and Technology, Tehran. His current research interests include nonlinear control, hybrid control systems, multivariable control systems, chaos computing, and chaos control. Mojtaba Barkhordari Yazdi received his B.Sc. degree in electrical engineering from the K. N. Toosi University of Technology, Tehran, Iran in 2001, and his M.Sc. and Ph.D. degrees in control engineering, in 2003 and 2010, both from Iran University of Science and Technology, Tehran, Iran. From September 2008 to March 2009, he was with the Department of Control Systems, Technische Universitat Berlin, Germany, as a visiting researcher. Since 2010, he has been an Assistant Professor of electrical engineering at Shahid Bahonar University of Kerman. His research interests include hybrid systems, multi-agent systems, robotics, and power system dynamics.